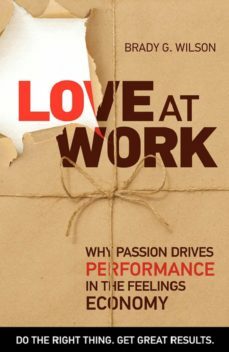 Love at Work foments a revolution for workplaces of every description and in every industry: a revolution in which leaders understand that engaging peoples heart trumps engaging their mind. Wilson shows how leaders who love: Believe in their people Pull out their highest good Serve their success Care for their worth Challenge them to stretch When peoples felt needs are met, says author Brady Wilson, they release the energy that triggers discretionary effort -- 400% more effort, according to the Corporate Leadership Council. The principles in this cutting-edge book are sure to change the face of the workplace for years to come.